If you want to know a little more about Toddler Trays and why I started doing them with my son you can read more here: Toddler Trays: The What's, Why's, and Where's. 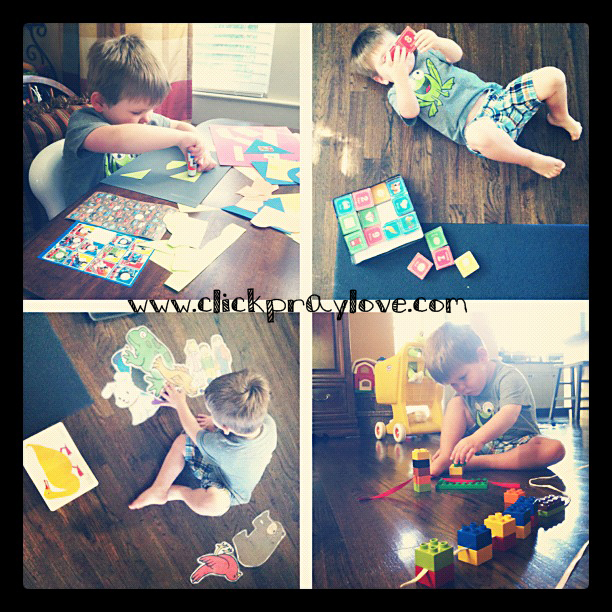 Construction Paper, Glue, and Stickers- Simple, yet fun and engaging for young children. I cut shapes out of construction paper. I give B a glue stick and allow him to glue the shapes onto another sheet of construction paper adding stickers as he desires. Mini Alphabet and Number Books- These books were passed down to us from B's cousins. I have not been able to find them, but B really enjoys them. They include numbers, colors, and various pictures to help children learn. Brown Bear Matching- Most children enjoy Brown Bear Brown Bear . This is a way to further engage them by encouraging matching. 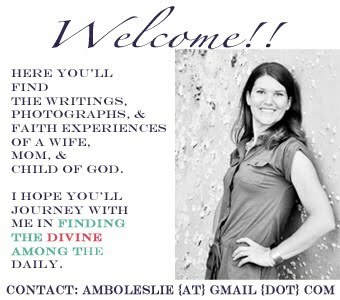 These free printables can be found at DLTK (she has a number of free resources). I read the story while he finds the corresponding animal. Duplo Play with Ribbon- This is another activity that I came across while searching Pinterest. Blog Me Mom shared the idea of adding string to your building blocks. I thought it was a great idea since B plays with his Duplo's on a daily basis. He had the most fun using the ribbon to make a Duplo train that he was able to pull around the house. Flap Books- Most parents with toddlers own a few flap books, but they often get forgotten. B rarely chooses a flap book during story time, so I will occasionally pull the 3 we own out for him to explore or to look through during quiet time. 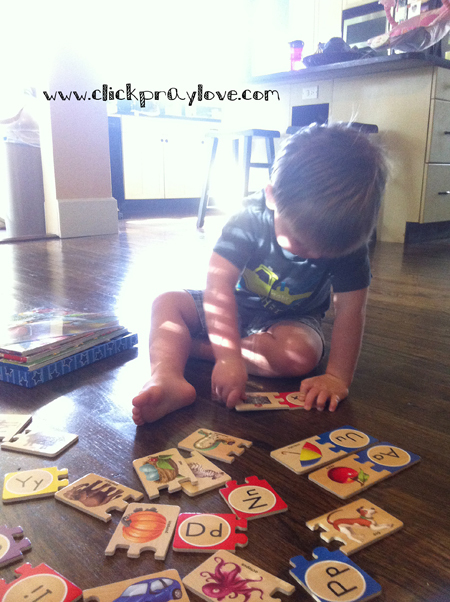 Melissa & Doug Self-Correcting Letter Puzzles - My son loves this puzzle, but he loves letters (there is a better photo of him playing with it below). This puzzle is great for letter recognition, letter sounds, and matching the letter with the object that begins with the same letter. Melissa & Doug Joey Magnetic Dress-Up- I found this magnetic set on sale when B was really enjoying magnets. 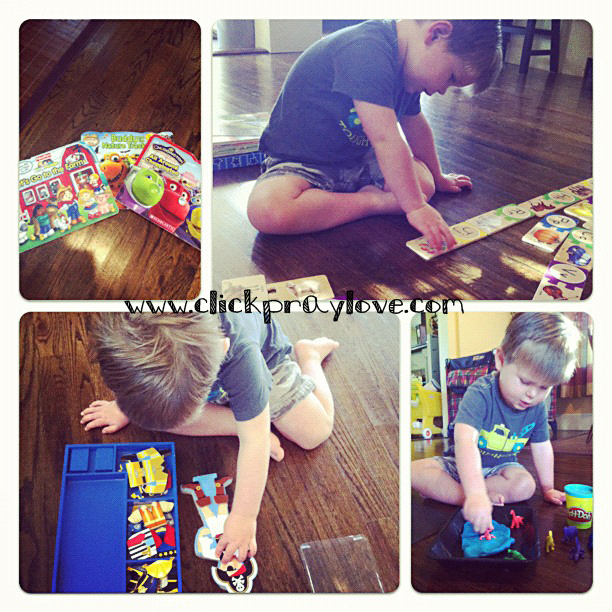 It is great for fine motor skills, pretend play, encouraging self dressing, and matching. Dinosaur Tracks with Play-Doh- My friend Branson's son loves this activity. B lost interest rather quickly, but it is an easy activity and almost every kid loves Play-Doh.